This has got to be one of the most frequently asked questions when it comes to electric shavers. And it makes perfect sense—after all, most men that went for an electric razor did so just to get rid of the discomfort caused by shaving with a razor blade. Regardless if you’re coming directly from traditional wet shaving or you just want an upgrade to your current electric razor, you’ll most likely want two things: a close shave and a comfortable, pain-free experience. However, finding the best electric shaver for sensitive skin is not as straightforward as some might think. And that’s simply because there isn’t such a thing as the best shaver, but one that is right for you. Hopefully, this article will help you find precisely that so you can finally enjoy an irritation-free shave. Prep work is really important. Rotary vs foil for sensitive skin. What are the qualities of a shaver suitable for sensitive skin? 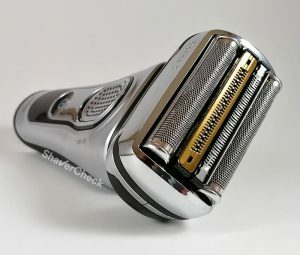 What are some of the best electric shavers for sensitive skin (2019)? Before getting to the actual shavers, I have to point out that prep work and shaving technique are particularly important for men with sensitive skin. There are a few, but very important aspects to keep in mind that can make a world of difference between a poor and a great shaving experience, so I highly recommend reading the above guides as well. No electric shaver will be good enough unless you get the basics right. Recommending one type of shaver vs another based on anecdotal evidence will always be a personal and subjective matter. And the topic of this post is no exception. I personally prefer foil shavers as I’ve always found them to be more comfortable and easier to use. I feel more confident and in control with a foil shaver compared to using a rotary razor. Moreover, some rotary razors, especially the ones in the lower end segment, have a tendency to pull and yank the hairs. Most men that have used both types seem to be on the same page as me when it comes to rotary vs foil shavers for sensitive skin. For these reasons I consider foil razors to be a safer choice. However, choosing a shaver ultimately comes down to the user’s particular needs and personal preference and there is no absolute truth here. Always choose whatever seems to work best for you. Even though many electric shavers out there will work just fine for most men, there are some aspects to keep in mind if your skin is prone to irritation, razor burn or ingrown hairs. As someone who had to deal with this for years, I tried many shavers in order to find one that wouldn’t leave my face looking and feeling terrible. It may be a bit surprising to start off with this one, but high quality, sharp blades are one of the key elements of a shaver suitable for sensitive skin. Dull blades can cause the razor to pull the hairs and the closeness of the shave will suffer as well. This will eventually lead to more pressure being applied and will force you to do excessive passes, causing razor burn and irritation. A great example of quality blades is Panasonic’s 30 degrees nano blades that have an aggressive 30 degrees bevel as the name implies. This allows the blades to cut the hairs clean, efficiently and without pulling and yanking the hairs. 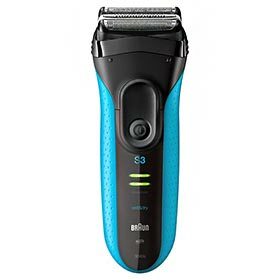 You should also check out the replacement foils and blades when looking to buy a new electric shaver; they must be readily available and ideally not too expensive. Razor burn, rashes, and irritation happen when a very thin layer of skin cells is actually scraped off by the blades (it’s usually the skin around hair follicles that pokes through the perforations in the foils). Some electric shavers are more aggressive than others and will leave you with a nasty, painful rash even if you’re extremely careful. Also, you will definitely feel the difference between a shaver fitted with a motor that runs at 7 600 CPM (cycles per minute) and with one that operates at 10 000 – 14 000 CPM. An electric razor that has a more powerful motor will shave faster, smoother and with fewer passes, needs little to no pressure applied and contributes to a comfortable shave. Yes, there’s more to an electric shaver than just numbers and specs, but a punchy and torquey motor is definitely a good starting point. A shaving head that doesn’t get hot during operation. This is yet another important and often neglected aspect. If the shaving head gets very hot due to the friction between the blades and the foils, it will cause a great deal of discomfort. You should also lubricate your razor regularly to reduce the heat generated during use and to minimize the wear of the blades and foils. There are shavers that remain perfectly cool during use even in the case of an extended shaving session as you’ll see later on. Being able to shave longer hairs that grow in different directions. As someone with sensitive skin, you’ll sometimes have to wait a couple of days or even more between shaving sessions. Your skin may need some time to recover and heal before subjecting it again to a potentially irritating factor, like rubbing a piece of metal against it. Therefore, the shaver must cope well with longer hairs. Lots of shavers have some trouble when shaving hairs that grow in different directions, especially on the neck, requiring multiple strokes and thus increasing the risk of irritation. As I mentioned in a previous article, wet shaving can be extremely beneficial to men with sensitive skin. Even though it takes longer and requires more prep work, it can make a big difference for some of us. I encourage you to give it a try if your razor is suitable for wet/dry operation. Some electric razors (like the ones from Panasonic) are a lot more gentle on the skin when used with a quality shaving cream. Now that we’ve covered the boring part, it’s time to check out some actual shavers so you can narrow down your options. The Series 9 is the latest and greatest from the popular German manufacturer and represents an evolution of the iconic Series 7. Building upon an already great foundation, the Series 9 is a more powerful and more advanced electric shaver that takes comfort one notch higher. Shaving with the Series 9 is a real treat; the foils remain cool during use and shave is supremely comfortable, with no pulling or tugging even when shaving a three days beard. The addition of the fourth cutting element, called the Direct & Cut trimmer, makes the Series 9 very efficient at cutting longer hairs that grow in different directions, requiring fewer strokes compared to most other foil shavers. 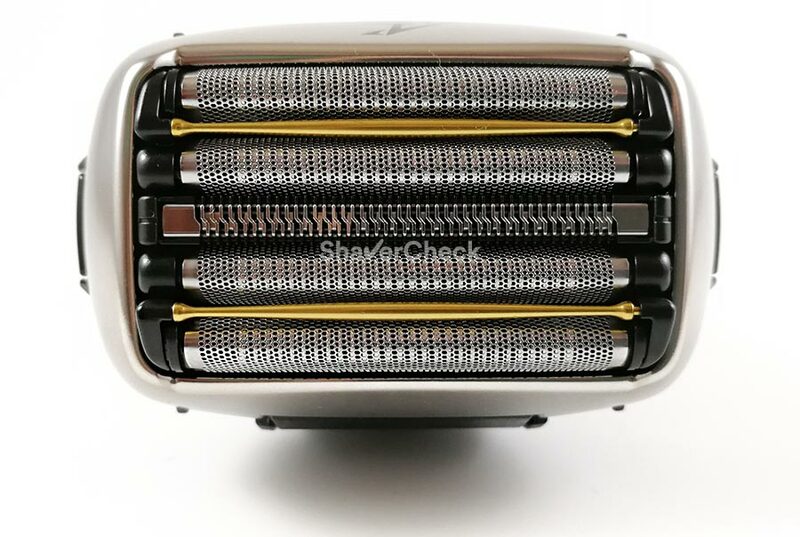 The shaving head of the Series 9 9290cc with the updated, Titanium coated trimmer. The Series 9 is really impressive at how it manages to provide close shaves while being very gentle to the skin. It feels effortless to use and will have no trouble shaving even very coarse stubble. 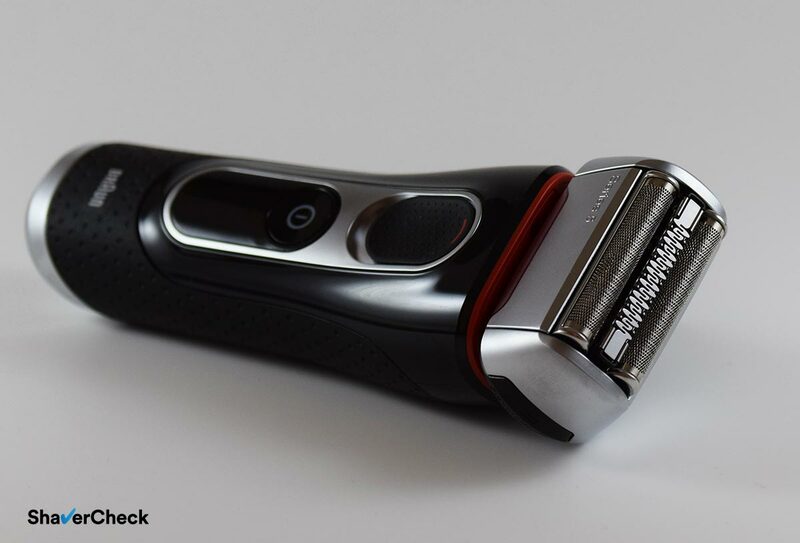 For these reasons, the Series 9 is probably the best electric razor out there for men with sensitive skin, provided that the budget is not really a constraint. There are several variations of the Series 9, all of them offering the same performance. You can opt for a dry only model, like the first generation 9090cc, or for a wet & dry variation, like the 9290cc. The cc models include an automatic cleaning station, while the s models do not. The 9290cc that I reviewed in great detail here seems to be the best option as it generally costs less than all other Series 9 cc models and is suitable for wet and dry use. For more details, you can read a comprehensive comparison between all the different Series 9 variations here. I’d recommend you to opt for a Series 9 that also includes an automatic cleaning station. It works great and makes cleaning a non-issue. With that said, the Series 9 is a bit pricey and for most men other less expensive options can also work just fine. The Series 7 is a shaver that needs no introduction, being one of the most acclaimed shavers out there for its performance and supremely comfortable shaves. Also, due to the micro-pulsations and specially designed middle trimmer, it’s very effective at shaving coarse, long or short hairs that grow in different directions. It has a powerful motor, a 3 blade cutting system and a micro-foil that was designed to be gentle to sensitive skin. The 790cc is the most popular variation of the Series 7 and arguably the most representative model for this family of shavers. 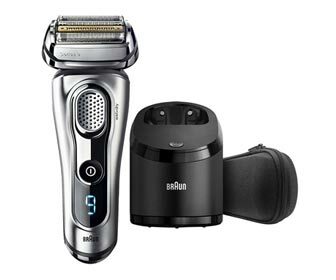 While you can only shave dry with the 790cc, Braun offers several wet/dry variations as well. For example, the Series 7 7865CC is an almost identical shaver but it can also be used with shaving cream or gel. However, the Series 7 is actually very comfortable during a dry shave, so you don’t really need the wet/dry feature in this case. If you’re willing to give wet shaving a try, a Panasonic electric shaver would probably be a better option. The Series 7 can also be a more budget-friendly alternative to the pricey Series 9. As I said in the direct comparison of the Series 7 and Series 9, for most men the Series 7 will work perfectly fine and only a few will see a significant difference when using the Series 9. In fact, the Series 7 with its slimmer shaving head feels more nimble and maneuverable, making it a better options especially for someone just getting started with electric shaving. For more details on all the Series 7 models you can read our in-depth comparison and pick the right one for you. The Series 5 from Braun is basically a Series 7 that costs less and doesn’t include some of its premium features, like the personalization modes and the so-called micro-pulsation technology. However, these features don’t make such a big difference in real life and the Series 5 represents a viable, more affordable alternative to the Series 7. The Series 5 is available in several variations, suitable for wet/dry or dry only use. You can buy it with or without the cleaning station. Regardless of your choice, they all provide the same shaving experience, being very comfortable during use, which makes the Series 5 a solid option for men with sensitive skin. The 5090cc model that we reviewed a while ago is one of the best options as it comes with a cleaning station and it usually costs less than other similar Series 5 variations. Just like the 790cc, this Series 5 can only be used dry, but again this won’t be a problem as it is very gentle to the skin. The newer 5190cc is however suitable for wet & dry operation. Other than that, it’s extremely similar to the dry only 5090cc in terms of features and performance. 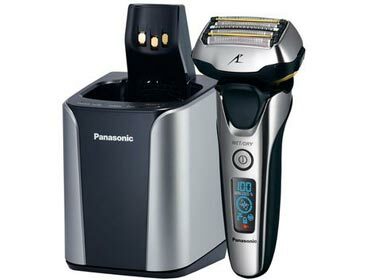 The Arc 5 is Panasonic’s high-end line of electric shavers. 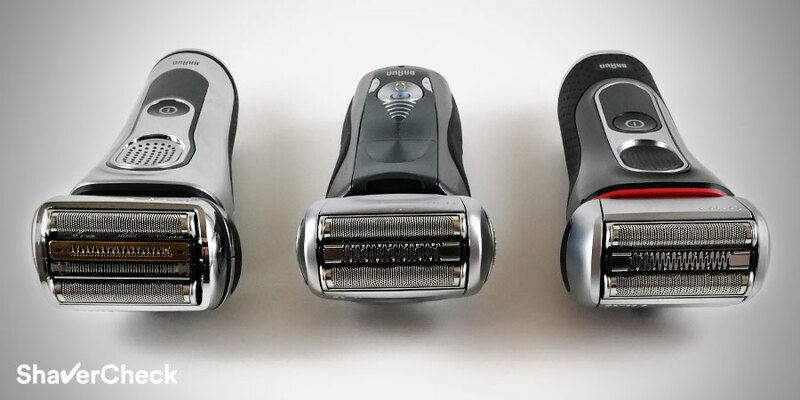 Currently at its third generation, the defining characteristic of this family of shavers are the (rather excessive) 5 individual shaving elements. Coupled with an industry-leading 14 000 CPM linear-drive motor, the Panasonic Arc 5 is a fantastic performer that excels at providing extremely close shaves. While the previous generation did so at the expense of comfort, the latest models are significantly better in this regard and can represent a viable option for men with sensitive skin that also need a really close shave. 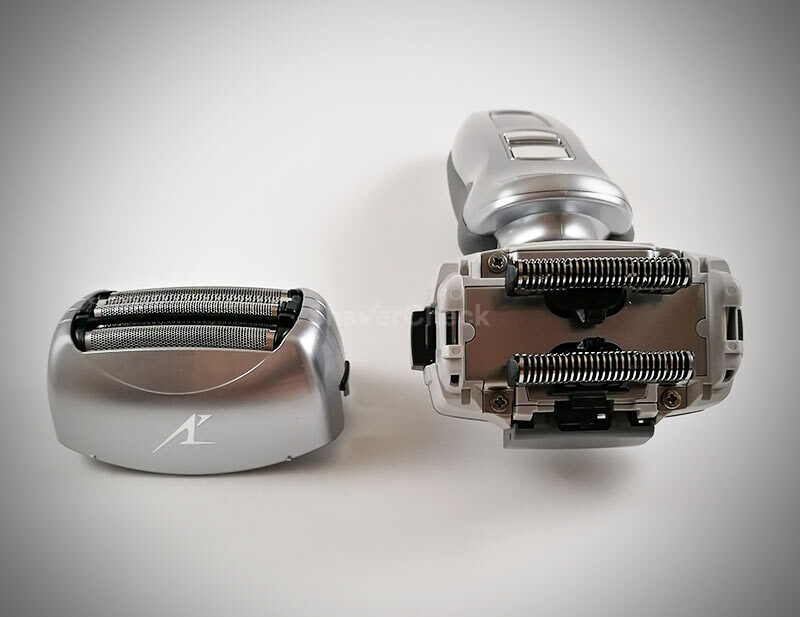 Apart from a completely redesigned body that now features brushed aluminum on certain models like the ES-LV9N, the novelty brought by latest Arc 5 is the new shaving head. Particularly, the foils. They were redesigned to be gentler to the skin and two rollers were added to improve the glide on the skin and prevent you from applying too much pressure. I will admit that I was very skeptical at first, but after using the new Arc 5 I can honestly say that they really work. Unlike other Panasonic shavers, the foils don’t get hot and the shave is usually smooth and irritation-free. I wouldn’t say that it’s the most comfortable shaver out there right now (Braun is still the best in this regard), but if you don’t have particularly sensitive skin and are especially interested in getting a very close shave, this may be the one to have. If you’re willing to give wet shaving a try, the ES-LV9N is a real joy to use. Panasonic shavers are generally extremely good with shaving cream and this one is no exception. Keep in mind though that the Arc 5 will work best on relatively short facial hair as it’s not as effective as a Braun Series 9 for example for catching longer, flat hairs. The ES-LV9N comes with an excellent automatic cleaning station, but to be perfectly honest, the razor is very easy to clean manually. So the station is not a must-have in this case and you can save some money by getting an Arc 5 model without a station (for example, the ES-LV6N). The shavers listed so far are definitely some of the best out there, but they may not fit within a tight budget. 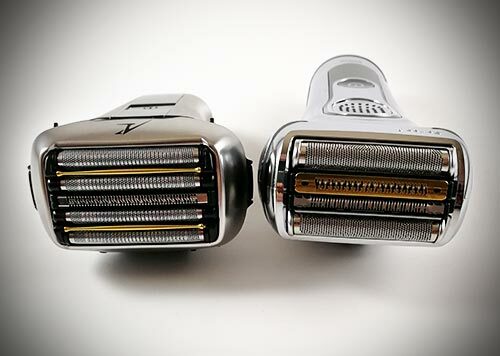 Sharp blades, fast motors, and an overall quality shaver usually come with a higher price tag. But that doesn’t mean you can’t find a good product that’s also easy on the wallet. Granted, it won’t match the performance of the high-end razors, but they can get do a very decent job, especially if you shave more often. A great inexpensive option is another razor from Braun, the Series 3 3040s ProSkin that we reviewed in detail here. It is a surprisingly good shaver for sensitive skin, providing very comfortable shaves. You won’t get the same closeness and performance as with the more advanced Series 5 or 7, but then again the 3040s is significantly cheaper and will be good enough in many situations. If you have light to medium facial hair, the Series 3 will definitely be a suitable choice. You should also consider it if you shave daily or every other day and you’re more interested in comfort than getting a very close shave. Compared to other similarly priced foil shavers like the Panasonic Arc 3, it does a surprisingly decent job at shaving a 2 to 3 days beard as well. But again, don’t expect Series 7 like performance. The Series 3 3040s offers excellent value for money as it has a very reasonable price and the replacement shaving heads are inexpensive. You probably noticed that I didn’t recommend any rotary shavers; as I said in the beginning, I find foil razors to be more suitable for skin that is prone to irritation and razor burn. This was simply my personal experience after using both types and I think in most cases a foil shaver will have a greater chance of providing a comfortable shave. If you prefer a rotary shaver there are definitely some solid options out there, like the Philips Norelco S9000 Prestige. To wrap it up, a shaver suitable for sensitive skin is not a whole different machine that does some kind of magic. Getting a pain free shave is a matter of doing the prep work right, taking your time, using the right technique and, of course, the right shaver. Don’t forget to always follow-up your shave with a soothing, hydrating balm. If you have any other questions make sure to post them in the comments below. Would you include the Braun CoolTec shaver in your list for shavers for sensitive skin? I haven’t used the CoolTec yet, so I cannot give you an answer based on my shaving experience with that particular razor. Does the Braun 790cc work well with wet shaving/cream? Thanks. My husband is having radiotherapy to his face, and has been advised to get an electric razor. As his skin is now in a delicate state, can you recommend a suitable razor please. while everyone’s different and my recommendations are only based on anecdotal evidence, I would say that the Braun Series 9 or Series 7 are arguably the most comfortable electric shavers you can buy today. They do not get hot during use and are very gentle to the skin. I hope this helps and I wish your husband a speedy recovery. Great article, just what I needed, cheers. Thank you for your comment, Mark. I’m glad you found the information useful. I only shave about 3 times per week. I’m lucky that my dad was a Native American and I inherited the low facial hair gene. But if I don’t shave those few times, it of course starts itching…no beard so no worry about that. Question is this: I do have allergies mainly to items related to black dyes…that doesn’t only mean dyes, unfortunately perfumes also…Can you recommend one of the Braun shavers, 9/7 or even 3 series that would be good for me, along with a pre shave…do you think I would be better with the wet or dry shave? Right now I’m using the single blade disposables, can’t use double etc…but I still get rash or maybe too much blood :)). If you have a very light beard, a Panasonic Arc 3 or a Braun Series 3 will probably be good enough. You could spend more on a powerful and advanced shaver like the Arc 4 or Series 5 recommended in this article, but from your comment that would probably be overkill. If you are allergic to perfumes I would suggest to only go for fragrance free products. There are a few shaving creams available like the Truefitt & Hill Ultimate Comfort. The same applies for after shave balms, only use the ones with very light fragrances or none at all. If you opt for a wet/dry electric shaver like the Series 3 3040s you can try shaving wet and dry and see which method works best for you. There’s really no other way than to simply try them both (if the shaver is suitable to be used in such a manner of course). I use Philips electric shavers from last 6 years. This time i use philips 890. My skin os sensitive and hairs are veary hard. Philips shaver not suitable for my skin. After shaving, i feel buring on my face. Please suggest to me, Braun series 9 or 7 is good for me. Its working well on veary hard beard. Both the Series 7 and 9 are adequate for sensitive skin. However, the majority agrees that the Series 9 is better in this regard. After using both I am actually on the same page. Since you also have a coarse beard, the Series 9 would probably be a more suitable option. I’m having Radiation Therapy and was Extremely glad to read your comments on Sensitive Electric Shavers, I have been advised to buy an Electric Shaver so this Article is very Special for me and I thank you for being Honest. Thanks again Bryan. Thank you for your comment! I’m glad you found the information useful. I hope you’ll find a suitable electric shaver and I wish you a speedy recovery. I currently use the The Panasonic Arc 4 ES-LA63-S. It works great on my face, and I have no complaints there, but doesn’t really do any justice on my neck. I have been using a razor, but it has been giving me really bad razor burn. What do you think the best option is for shaving a neck that has very, very sensitive skin? Definitely the Series 9 in my opinion. It is pricey though, so if you want a more budget oriented solution then the Series 7 would be the next best thing. First of all, a big compliment for this very useful blog! I had a beard during almost 5 years and, because of many circumstances I shaved it completely. I was waring a beard mainly because more practical/ confortable and had not to shave regularly. Using wet traditional shaver (even the most expensievest), I often get cut and the skin irritates. I dare say that this was/is not due to preparation. I’m now considering to buy an electrical shaver. I have relatively sensitive skin, not coarse beard, but hairs grow in different directions and mostly parallel to the skin. Too, because of the working environment, I normally have to shave every day (max every second day). After reading your blog I tried to figure out what electric razor would be the most suitable for me. I think the series 9 from Braun would be the right choice. Do you agree? Further, I wasn’t shure wheter you tried/used it with shaving foam/soap. If yes, what can you say about the shaving results (closeness/confort)? Thank you in advance for your advice! The Series 9 will definitely be suitable for the job; in fact, since you will be shaving daily for most of the time and your facial hair isn’t particularly coarse, even the Series 7 would likely be good enough (if you’re looking for a more budget-friendly option). I did use the Series 9 with shaving cream, but because it was already very gentle during a dry shave I didn’t notice any significant improvements in comfort. The closeness was slightly better on my mustache area and chin where I have very thick stubble, but otherwise I assume the differences will again be negligible. I tend to stick to dry shaving with most Braun shavers. Thank you for your advices. Finally went for a 9 series. I’m very satisfied. Already shaving dry, it word well (no significant irritation, etc.). By a far better shaving experience compared to the classic wet shaver (even with high end products). I wanted to give a try to a pre electric shaving product. The only I found was the Lab Series. Indeed the closeness of the shaving was improved. Finally an inexpensive after shave lotion for sensitive skin from Nivea and it’s done. That’s awesome, I’m glad you’re satisfied with the purchase. I personally like the pre-shave from Speick better than the Lab Series solution; it’s not as oily and it also seems to work better — at least in my case. Hi and a big thank you for the informative postings you’ve written. I have used and been happy with a Braun 530s-4 for over 2 years, it being the second after having 2 dry/wet Braun shavers years ago. Now I have to replace the head and need to consider cost. Will my 530s-4 last another 2 years ? If not am I advised to buy a dry Series 5. Which one? I have a sensitive skin, yet also need to consider the value/cost of a replacement Braun. Or even a similar shaver from another brand? Thank you for your comment. 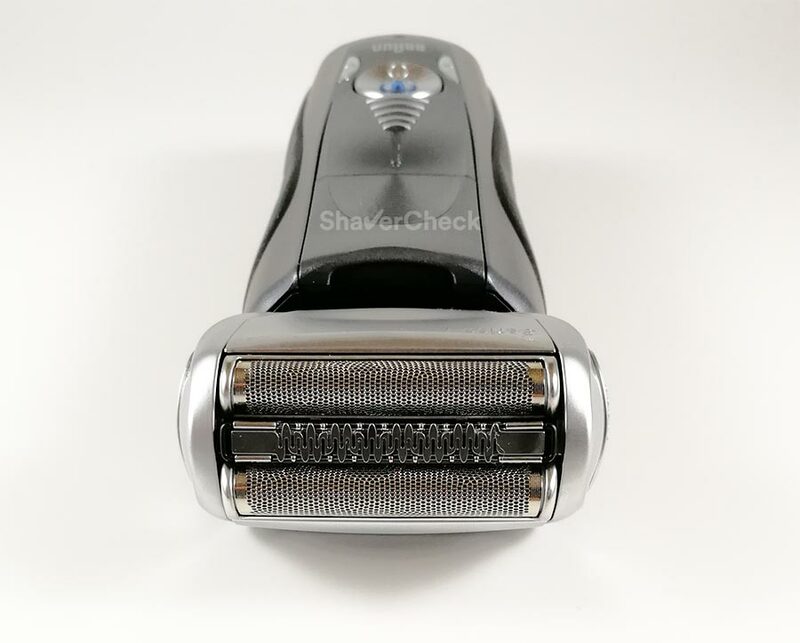 Given proper care, your current shaver should easily last for another 2 years, so you could buy a replacement foil & blades set and keep using your 530s. When you decide to upgrade you might as well opt for the newer generation Series 5 shavers. Regarding which model to choose, that’s really up to you. All of them are the same in terms of shaving performance. The differences are related to accessories, wet & dry use and price. I wrote a detailed article on the different Series 5 models that addresses these aspects. If you were satisfied with your Series 5, I think you should stick to it. Braun is arguably the best for sensitive skin. I know with certainty that all Panasonic shavers use hypoallergenic steel for their foils and blades. The other manufacturer would be Wahl, but I haven’t personally used any and I also doubt they’re better than Panasonic razors. My advice would be to go for an Arc 4 like the one recommended in this article or even an Arc 5 like the ES-LV65-S. I will be starting chemotherapy and radiation in two weeks for cancer on the back of my tongue and lymph glands. My skin around my neck will be very tender. I will not be able to use any pre or after shave liquids on it. Until now I have always used a manual safety razor. What would be your recommendation for me? The Braun Series 9 and even the Series 7 are arguably the best electric shavers out there if you have sensitive skin. However, in your situation and depending on how serious the condition of your skin will be, you may not be able to use an electric shaver at all (that is to cut the hairs at skin level). If the skin on your neck will be very tender, an electric shaver may still be too harsh — even one that is normally very gentle and forgiving like the Series 9. A facial trimmer with the comb/guard set to the lowest length may actually be better in this case. If you have the chance, please ask your doctor about using an electric shaver after you start the treatment. If it’s possible to use one, the Braun Series 9 or 7 are by far the most comfortable shavers when used dry without any pre-shave lotions or powders. I hope this helps and I wish you a speedy and full recovery. thank for this, very useful. Does it trim the beard at different lengths as well or just shave? I usually use my razor to trim my beard to constantly keep that 2/3 days beard look. Will I be able to trim the beard like that with that razor? if not which one you recommend that can shave and also trim at different lenght? The Series 9 (and all the other razors in this list) can only be used to cut hairs at skin level, so unfortunately it will not work for maintaining a beard/stubble. You should check out an electric shaver that comes with various comb attachments like the Philips OneBlade or the Braun Series 3 3010BT. 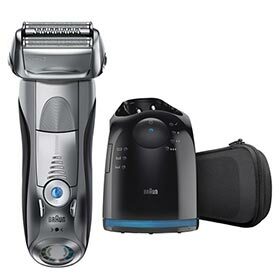 A facial/beard trimmer (Philips Norelco Multi Groomer, Braun BT3020 etc.) would be another option that can work great in your situation. I shave about 4 times a week have been shaving using Gillete Fusion/Proglide type of razors for the past 15 years. Since an early age I always shaved against the grain and also my skin is sensitive especially in my mustache area, an area that I dread shaving every time I Shave. I now have to shave before showering and use a scrub as a substitute to shaving cream as it works much better and lessens the amount of blood that I get. I have used rotary razors in the past for a day or two however they leave a heavy shadow after I’m done shaving and it requires me to whip out the Gillette to finish the job, which irritates the skin even further. Can I every switch to an electric shavers? What electric shaver do you recommend for me? I would love to start shaving daily as my hair is think and my skin is sensitive. And If electric shavers are not for me, any recommendations would help. I’ve been in your position and I can totally relate. I think a foil electric shaver will work really well in your case. They shave closer compared to rotary razors and they’re also a lot more comfortable, at least that was my experience with every rotary razor I’ve ever used, including high-end Philips Norelco models. I would suggest a Braun Series 7 (790cc, 7865cc, 7893s) — they’re very comfortable and easy to use. For most men they’re perfectly smooth and gentle when used dry, but you can also try the wet/dry models with a quality shaving cream and see if there are any improvements. That was very informative. I’ve rd all the comments and I beleive series 7 is the best option for sensative skin and budget oriented. Thank you for your comment, Ahmed. That’s my opinion as well — the Series 7 is arguably the best option for sensitive skin while also offering good value for money. I’m looking for an electric shaver for my 17 years old son who has autism and has sensories issues I’m not sure which one is the best for him could you suggest one please. In my opinion noise would be the main issue to deal with in this situation. Foil shavers (like the ones mentioned in this article) are significantly louder during use compared to rotary shavers and they also tend to vibrate a lot more. For this reason I think you should consider one of those instead. I wrote a very detailed article on this topic here. Depending on your budget, I would consider a Philips (Norelco) 4100 or 4500. They are entry-level rotary razors, but should be more than enough for a teenager’s facial hair. I would also recommend you to check out the How to shave with an electric rotary razor section in this article. Do you know the difference between the Panasonic Arc 4 and Panasonic Arc 5? I’d like to get my husbanda nice electric razor for Christmas and he had super sensitive skin. For someone with super sensitive skin neither would be ideal. A Braun Series 9 or Series 7 would be much better options. Thank you, David. I’m glad you found it useful. I am looking into trying electric razors again. I am a bald bearded fellow. I tend to shave my head at least 3 times a week with a conventional razor. I have tried rotary razors in the past with a horrible experience. I was told by a barber to try a foil razor that I would like it better. I have extremely sensitive skin as I am a red head. I really enjoy your artical but haven’t seen anything about head shaving. Could you possibly recommend a foil shaver that would be suitable for head shaving? Thanks in advance. Thank you for your comment. I didn’t say anything specific about head shaving since I actually never shaved my head, so it would be difficult to recommend a specific shaver. Since you have a very sensitive scalp, I would consider a more gentle foil shaver like the ones from Braun. I think the Series 5, 7 or 9 should work really well. The Series 9 is the more advanced model, but also significantly more expensive. You can opt for either depending on your budget. So I’ve read loads of your articles and it seems the braun 9290cc seems to be my best option. I have very sensitive skin and I want a close shave. However I’d like to use it every day if not every 2nd day and you mention it’s overkill for everyday use. Could you give me a recommendation for the best shaver for everyday use that’s also good for very sensitive skin? Thanks very much for your help! Thank you for your comment. What I meant by overkill was that you can get similar results with a less expensive model (like the Series 7 for example), especially if you plan on shaving daily. That doesn’t mean of course the Series 9 won’t work great for shaving daily or every second day, it surely will. 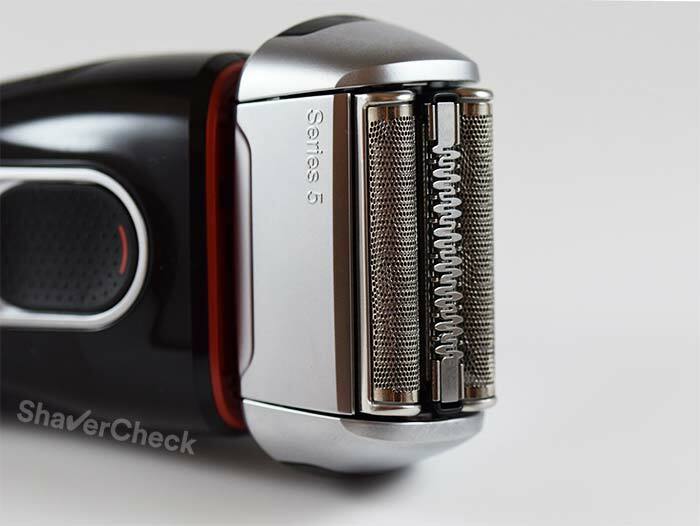 If your budget allows it, the Series 9 is the most comfortable and gentle shaver out there right now. Hey there! My boyfriend is leaving for Pilot school in June and has to be clean shaven everyday for the next 3 years. He mentioned he had to get a good razor before the big move. He has sensitive skin. He is also Arabic and has a thick beard. His hair is coarse. Which do you think would be best for someone who has to shave nearly everyday and has sensitive skin? I would go with the Braun Series 7. It’s a very capable and reliable electric shaver that works great for sensitive skin and will be more than enough for daily use. It will shave a coarse beard without any problems. Hi There. I am looking to buy my 1st ever Electric Shaver. I read that Braun series 9 is an excellent shaver. though, little expensive here in Sydney (it was at good price and with offer in USA but I did not buy). I shave every alternate day but by the end of next day of shaving, it seems that I will need to shave tomorrow anyhow to look groomed. Will shave from Electric shaver lasts longer than normal razor? Also, in last few years, my shave hairs has become quite hard. Will Electric shaver make them soften or so? Also, I don’t want to compromise in comfort and effect so should I go for only Series 9 or there is really a cheaper alternative. I think either the Series 9 or 7 would work really well for shaving every other day. Most users will be very happy with the Series 7, it’s powerful enough to shave even coarse facial hair. So it’s a perfectly fine alternative if the Series 9 seems too expensive. Regarding shaving with an electric shaver vs regular razors, none of them can make the hairs softer or coarser. That’s (still) a myth. 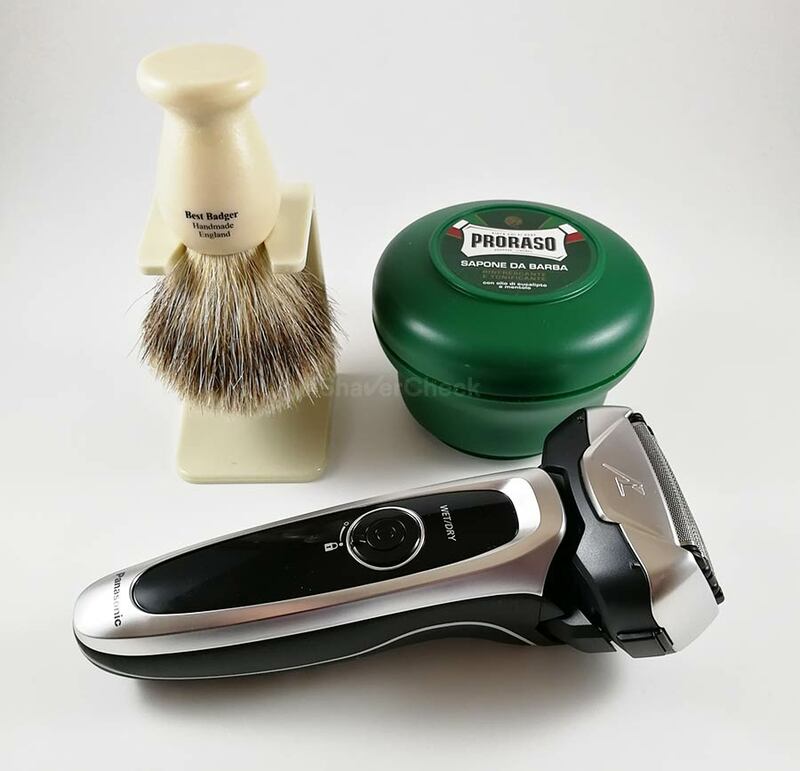 Modern electric shavers can provide a really close shave, but a razor blade will always shave at skin level, but with the well-known downsides (irritation, nicks, lengthy shaving sessions and so on). Electric shavers are a really good compromise of convenience, comfort, closeness and even costs. Thanks Ovidiu. I appreciate your reply. Also, how are Panasonic shavers compare to Braun? Though I shave every alternative day but I hate to do. But now a days my shave looks bad due to White hairs so I have to do it in every Two days. My skin is not very sensitive but any product from Gillette does not suit me. Foam or Cream or even razors. Considering best value and usability in mind, are there good alternative of Braun which can save money too? Please suggest. Thanks. Also, is there any other shaver like Panasonic or Wahl which is also good for sensitive skin and not that expensive. I liked Series 9 but at $450, I feel it is very high. I would prefer something around $200 or so range. But if something is really very good, I won’t mind paying up to $275 or even 300 also. I’ve used and owned many Braun and Panasonic shavers and if I were to summarize their strengths and weaknesses, I’d say that Panasonic shavers will generally shave a bit closer than similarly priced Braun shavers, while Braun shavers are more comfortable and more effective at shaving longer, flat-lying hairs. For someone that shaves often and doesn’t have sensitive skin, Panasonic would likely be a better choice. 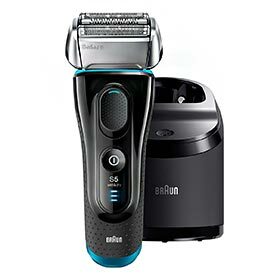 On the other hand, if you shave every two days or so and have very sensitive skin, chances are that a Braun razor will provide a better experience. As mentioned in my previous comment, the Series 7 can be bought for significantly less money than the Series 9 and it’s a very capable shaver. Braun and Panasonic are currently the only two brands that I would consider for a foil shaver. Wahl has some serious issues with reliability, so I personally cannot recommend them. Thanks. I will go for Series 7. I noticed that there are many version if Series 7. Which is the best one? Also, is it woth buying Cleaning and Charging kit too or we can clean abd charge manually and it is fine. Please suggest. Thanks. You are welcome, Akash. I would get a model that comes with a cleaning station (790cc, 7865cc) because they don’t cost a whole lot more than the s (solo) models and the station is really handy. I don’t think you should use after every shave, once every 3 to 4 shaves should be optimal in order to keep dirt from accumulating inside the head and also save some cleaning fluid. You can simply clean the shaver manually with water and liquid soap in the meantime. There are also cheap third-party alternatives to Braun’s refills. Here’s a very detailed Series 7 guide if you want to know more about the different models. I also noticed that at many places you mentioned that the shaver can be overkill or Overkill for light beards and/or everyday use. What does overkill mean here? Does it mean that it cannot be used everyday or once you use, it gives such a close shave that you won’t need shave again for next 2 days? By overkill I simply mean that there are less expensive, less advanced electric shavers that will provide similar results in a given situation. For example, someone with a very light beard doesn’t need a Panasonic Arc 5 with 5 blades and a massive head to get a decent shave. An Arc 3 will very likely be more than suitable for the job. 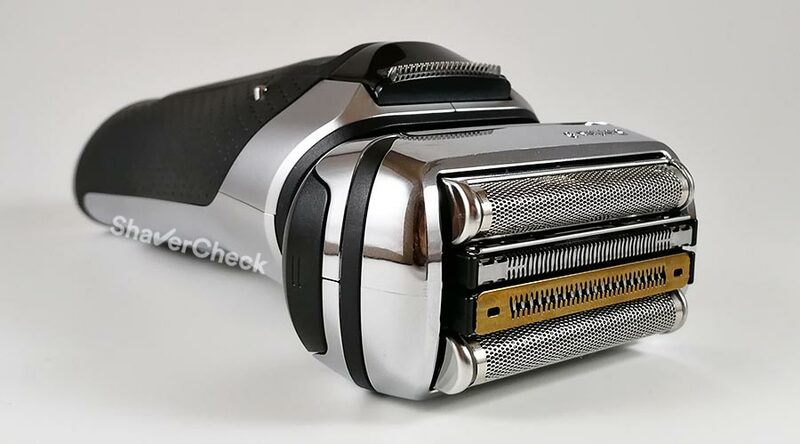 Of course you can still use a shaver that is more powerful than what you would need, but it costs more and the replacement blades and foils are also more expensive. I want to buy a shaver for beards and body hairs. I mostly use stubbly beard but sometime I need a close shave. I prefer to have waterproof feature so that i can use my shaver safely under shower. Also my skin is really sensitive. I don’t consider to pay too little amount of course, but also i expect not too pricey. What would be your suggestions to me by considering these? First of all I have to mention that electric shavers aren’t great for shaving body hair. They’re really meant to shave reasonably short stubble, so I would highly recommend investing in a dedicated body trimmer. As for shaver recommendations, depending on your budget, you can opt for a wet&dry Series 5 or 7 like the 5190cc or 7865cc respectively. These two also come with a cleaning station, but if that’s not a feature you need you can of course get one of the so-called solo models of these shavers (like the 5040s or the 7893s). They also cost less. I would personally get the Series 7, it is a bit more refined and gentle and if you have really sensitive skin I think it will be money well spent. Thanks for the article and all the comment replies (I’ve read everything!). I have a very light moustache (Chinese), but also very sensitive skin where I will break out in pimples if I use a poor electric razor at skin level. I have gotten used to ‘floating’ the razor over the skin instead, to at least look close-to-tidy. If I tell you my priority is sensitivity, would you recommend me the Braun 9 series, or is the 3 series still good enough for my very light beard? In terms of cutting power, the Series 3 will be adequately powerful for a very light beard like yours; however, it is not quite as comfortable as a Series 9. For example, I have very sensitive skin on my neck and if I shave dry with the Series 3 and I’m a bit sloppy and I press too hard, I will also break out, even though it won’t be anything too serious. However, I never experienced this with the Series 9 for example. But to be honest, the Series 9 would be overkill in your case and it also costs quite a lot. So my suggestion would be to consider getting the Series 7 instead — for most users it will be the optimal choice. I think you’ll be more than satisfied with its performance and comfort. Thanks so much Ovidiu, that really clears things up, so helpful. I will consider shaving carefully with either the series 7 or 9.